We have all found ourselves injured at the behest of someone else yet very few of us have claimed for the injury. According to new government statistics, more people than ever in 2014 are claiming for personal injury issues than before. However, what is truly frightening is that more people are finding themselves at the behest of ‘cash for crash’ gangs. Criminal gangs are targeting van drivers in what has been deemed as ‘cash for crash’ scams. These rogues are operating the length and breadth of the country, purposely driving into unsuspecting victims and claiming against them in personal injury situations. The sad thing is, many honest people are so upset at the thought that they have hurt someone that they are not questioning the event and are giving in to these crooks. This has serious financial ramifications for the individual. Insurance companies have noticed a sharp rise in insurance claims with many of these being ‘staged accidents.’ More worryingly, it seems that van drivers are clear targets for these criminal groups as they are seemingly too busy to argue with the criminals that are deliberately crashing into them. These crooks are targeting tradesman and couriers, knowing that their busy workloads mean that they will not stop and question the nature of the event. These crooks are targeting what they call ‘ideal candidates’ and have clear targets in mind before they deliberately crash into them. Sadly, elderly people and women with children in the car are more likely to be targeted than lone males who are on the road. The bogus claims are then filed against these poor victims, and the pockets of the criminals are lined handsomely from the insurance company. Aviva claimed that at £10million pounds was claimed fraudulently due to these bogus accidents. This scam can see crooks make a handsome profit from their nefarious activities, leaving innocent people severely out of pocket. 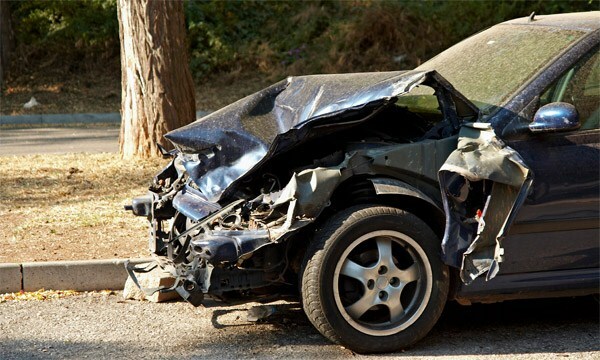 It is said that there has been a 20% rise in fraudulent claims within 2014 alone. Who knows what 2015 will bring? If you want to be aware of the cash for crash fraudsters that are sweeping the nation, then there are signs that you can look out for. As you are aware, in accidents within the UK, a person who hits the other from behind is at fault. It is that simple. Crooks are now slamming on their brakes so that the individual behind them hits them. What is more, crooks are disabling their brake lights so that the driver behind them is less aware of them stopping. This makes anyone an easy target within the UK. Sadly, avoiding these crashes can be difficult. While the thought of this rather sickening, insurance companies, the police and solicitors are all aware of these personal injury claims. So if you are looking for helpful information should you have been railroaded by these crooks, then you can contact Bournemouth Solicitors for impartial and helpful advice on personal injury claims. Don’t let these criminals get away with it. Protect you and your family and ensure that they are stopped before this endemic gets worse.